A month ago, it was my parents’ anniversary and my brother and I decided to tag along on their romantic dinner for two…and make it a family dinner for four (thanks for letting us crash mum and dad :D). 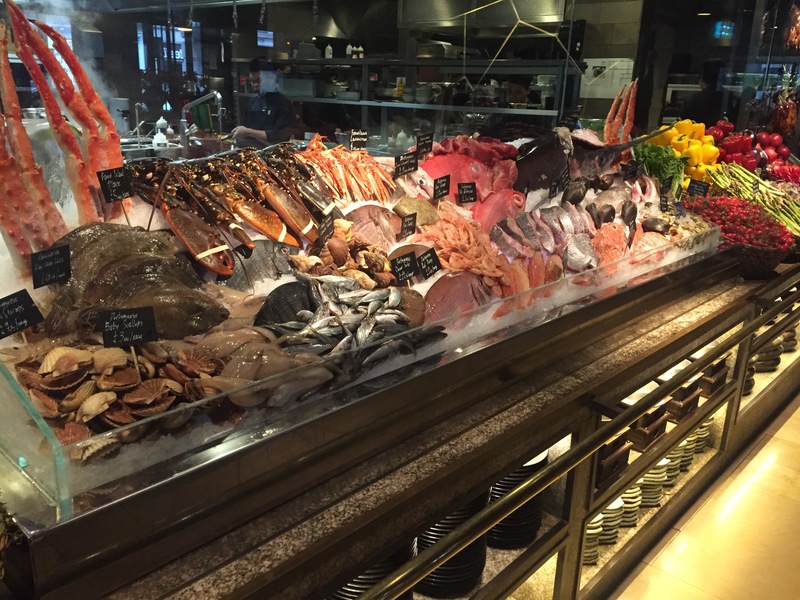 A special occasion calls for a special meal, so off we went to a restaurant that my dad has continuously been making us jealous with, and where the rest of us have been dying to go to for ages – Novikov! 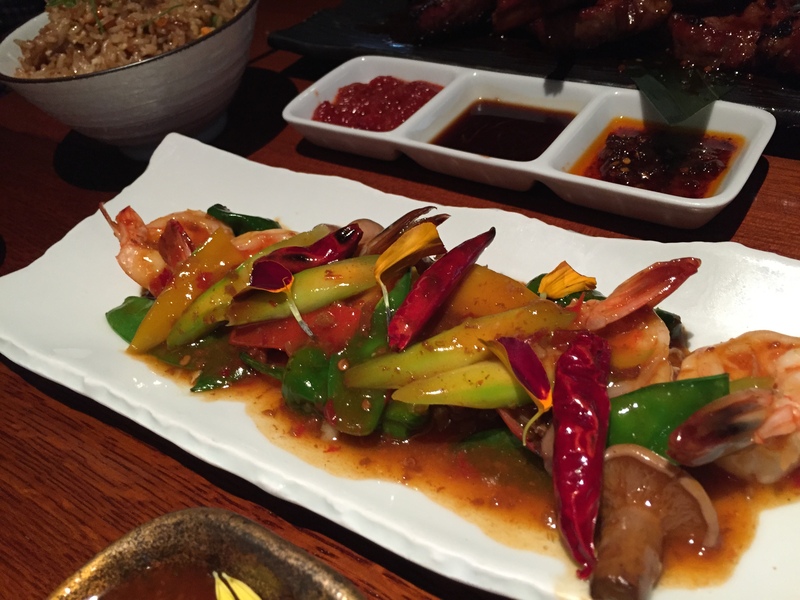 Novikov, located in the heart of Mayfair, consists of an Italian and a Pan Asian room. We decided to visit the Pan Asian room. The room is simple but elegant and is filled with beautiful decor, attentive waiters and a live fish market! 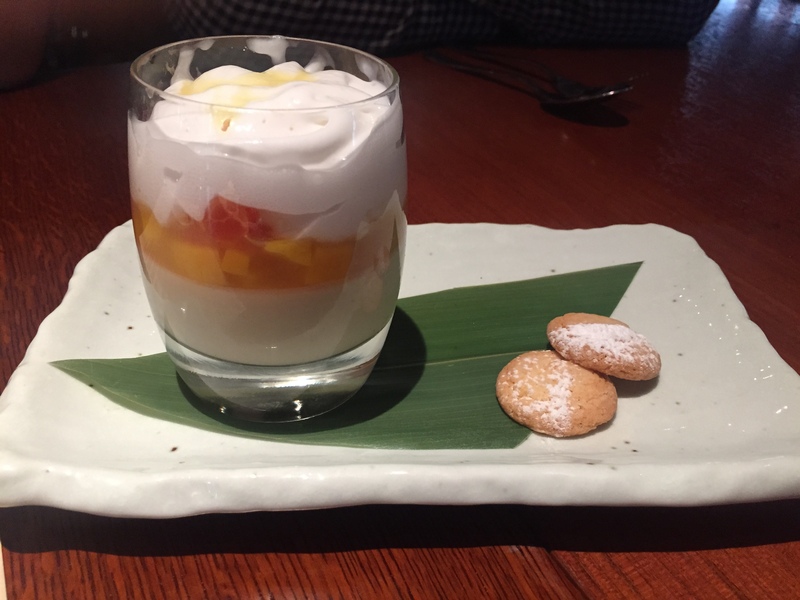 On many occasions I have heard great things about restaurants, and as mesmerised as I am with the venue, I have been disappointed with the food (take Gilgamesh for example). So as excited as I was, I wondered whether Novikov would live up to what I’ve heard. For starters we opted for three choices of dumplings and prawn tempura. They did not have prawn tempura available which was disappointing and surprising, considering it was 2pm on a Sunday! My dad highly recommended the mushroom dumplings. I wasn’t too keen considering I’m not the biggest fan of mushrooms, but I’m always game to try something new. And so I did and I absolutely loved it! This was surprisingly my favourite dumpling of the day! It was so flavoursome and was topped with crunchy pieces of a special type of Chinese doughnut. This made the textures lovely as you get the doughy outside, soft inside and crunchy top. Amazing! These were delicious and filled with juicy prawns which were not too spicy. 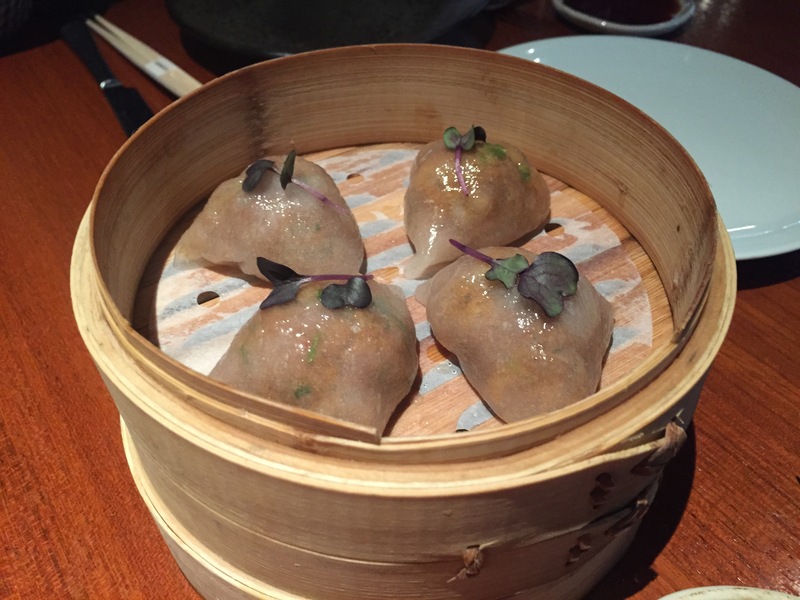 The flavours of the prawns, garlic, ginger and chives inside the little doughy balls of goodness were lovely! Shitake dumplings pictured left. Spicy prawn money bags pictured right. Minced pieces of beef mixed with delicious spices all wrapped up in purple dough. I’ve never had a beef dumpling before, so it was something different and I loved it! The fact that it was wagyu made it even more delicious. Definitely recommend it! You guys know by now that I loveeee meat! The beef fillet, cooked to a lovely pink medium was soft, succulent and juicy. It was cut into small cubes, which I continued to sneak onto my plate! I ended up eating most of this dish! The beautiful meat served with a ginger, chilli and garlic sauce helped to intensify the flavour without it being too overpowering. Omg these were sooo yummy! 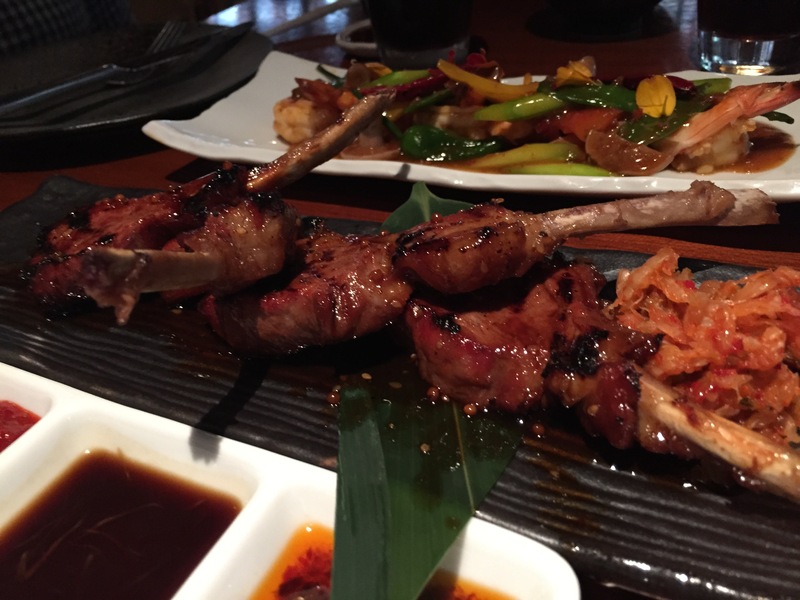 The last time I had lamb cutlets was at Cocochan, where the lamb was so chewy and there was so much fat that it was off putting. Novikov however, did not fail to deliver as the lamb was soft and succulent and the thin pieces of fat that melt in your mouth were absolutely delicious. We ordered two of these as we love prawns, but regretted after tasting the other dishes! The sweet and sour flavours went really well together, however it didn’t stand out that much amongst its contenders. We ordered egg fried rice which is a standard dish. At most restaurants, this dish comes simple with plain rice and bits of egg. 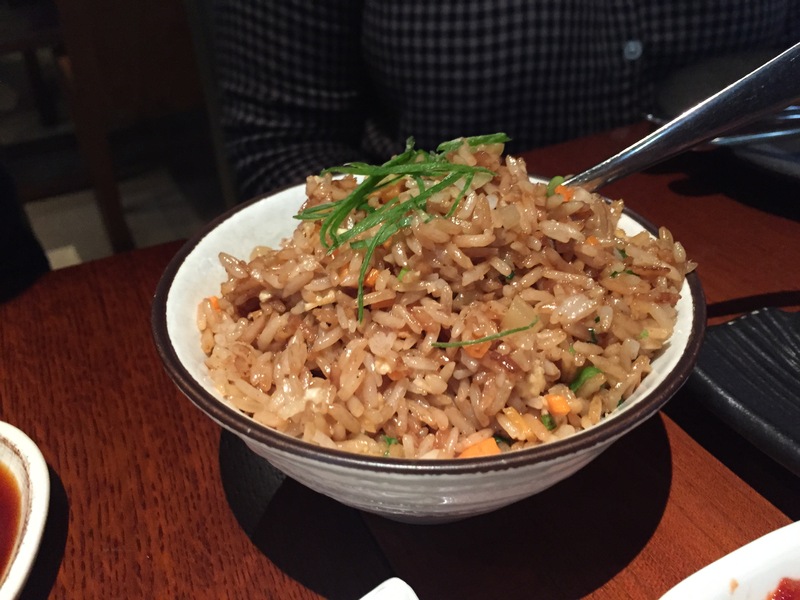 At Novikov, the rice is more flavoursome and contains yummy small vegetables which enhance the flavour of the rice and egg. Such a simple dish that we all really enjoyed! Now for desserts… my favourite part! Despite me and my dad trying really hard to convince my mum to order the tiramisu, she ended up ordering this coconut dessert. She was extremely pleased with her choice and after trying it, I could see why. The custard was creamy, the fruit was fresh and juicy, and the foam was light and fluffy. I loved the different textures that tease all of your taste buds! This was amaaaaaazing. 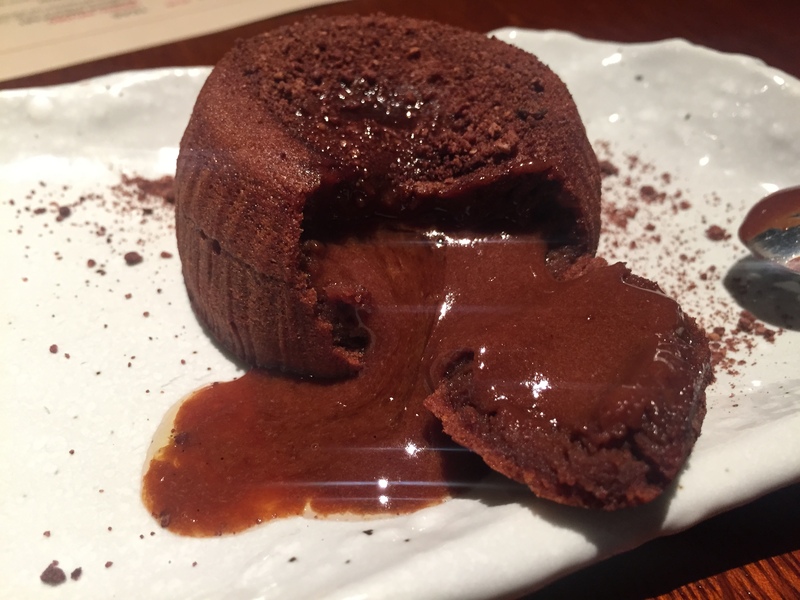 Soft, light and fluffy chocolate cake that was oozing out with flowing chocolate sauce. You have to wait about 15-20 mins for this so they can make it fresh. It’s worth the wait… trust me! 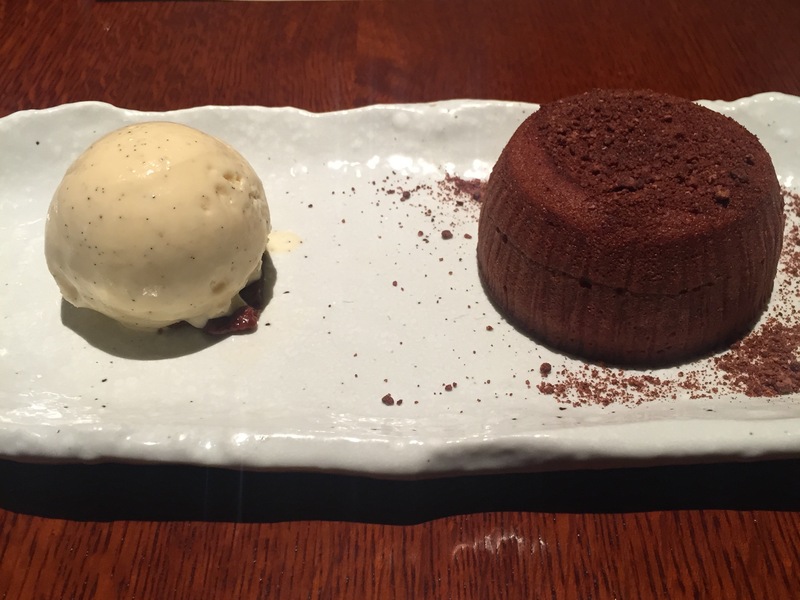 I think this might just be one of my favourite desserts ever and no other fondant that I’ve previously had can compete with this one. So did Novikov live up to what I’ve heard? Definitely. This truly was an amazing experience and is the best Pan Asian restaurant I have dined at so far. The total bill amounted to around £205 for four. This was an expensive meal, however, I do feel that it was good value, considering the dining experience that they offer. The food was perfect, the quality was amazing, the ambience was lovely…. And it was in Mayfair after all! 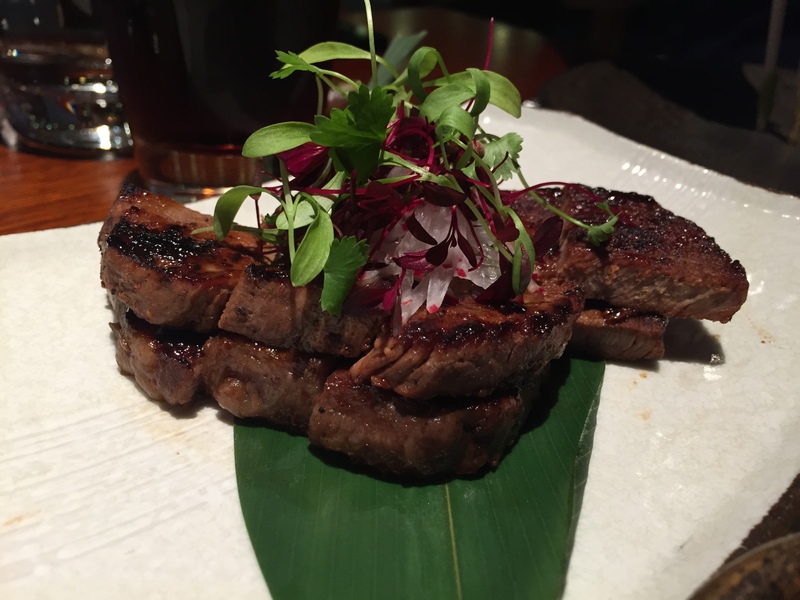 So if you are planning a meal for a special occasion, I would certainly put Novikov near the top of your list. Omg ! I’m sold …. Great review and everything you’ve eaten I would probably eat too lol. Now time to make a plan. What is halal here? Do they sell pork or frog legs? Would you be eating in the bar or is the restaurant separate? If it’s in the bar then this is not halal. Not trying to be a mood killer, just trying not to chase dunya too much.